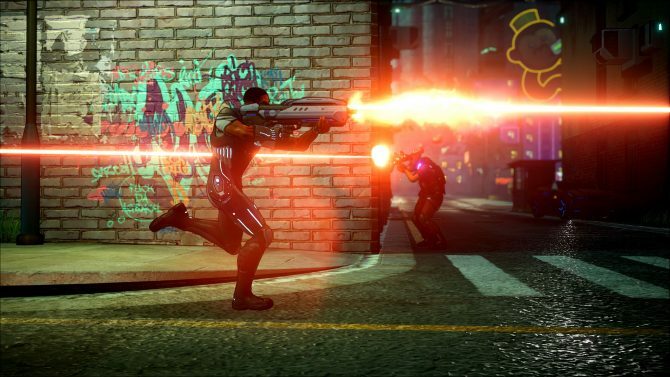 After going quiet for a long time, Crackdown 3 has re-emerged and feels just like it should. After years of going silent, I was starting to get nervous about the state of Crackdown 3. As a huge fan of the series — yes, I even adore Crackdown 2 — I had been looking forward to Crackdown 3 for quite sometime. While I held out hope that it would one day see the light of day, I tried to keep my expectations in check just in case the worst happened. 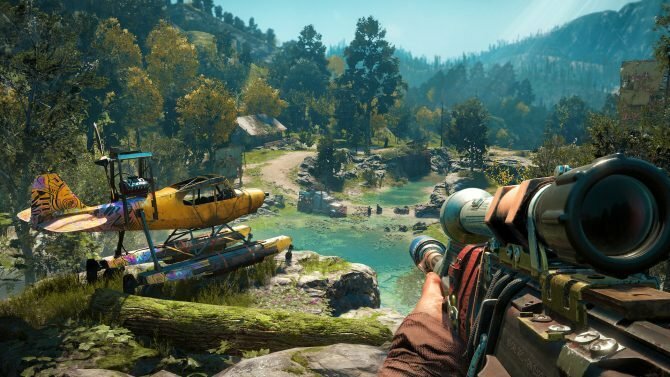 Then Microsoft announced at E3 2017 that it would release later this year on November 7: I got to play it for myself and now I’m feeling optimistic once again. 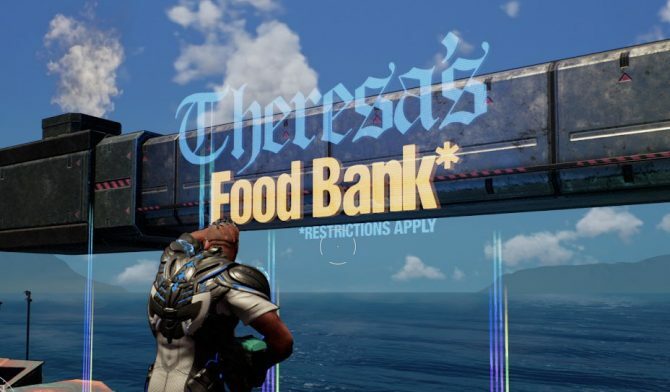 The best thing I can say about my time with Crackdown 3 is that it feels exactly how Crackdown should. 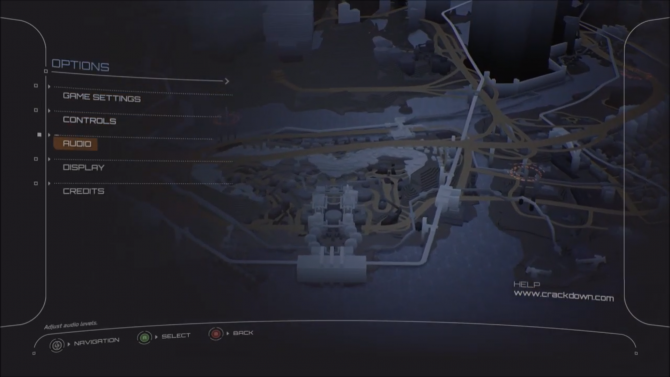 Your agent — which can now be a female for the first time in the series — feels overpowered, can vault buildings in a single bound, fires ridiculous weapons, and can pick up a truck and throw it at someone’s face. While I only played Crackdown 3 for a short time at E3 2017, I honestly forgot how much I missed these games. My demo of the third entry in this series began on a rooftop that I immediately jumped off of because, well, that’s Crackdown for you. What was different this time about the jumping however is that you now have a double jump ability which obviously allows you to reach great heights much quicker. Additionally, you can now click in the left stick when jumping to utilize a quick boost giving players that extra little push that might be needed to reach a ledge. While I only played Crackdown 3 for a short time at E3 2017, I honestly forgot how much I missed these games. Of course, if I am jumping around in a Crackdown game, that means agility orbs must be what I’m jumping to obtain. The build of Crackdown 3 that I was playing allowed my agent to level up much quicker than normal, which meant after collecting a few of the orbs scattered around the rooftops near me I was already able to jump even higher than normal. 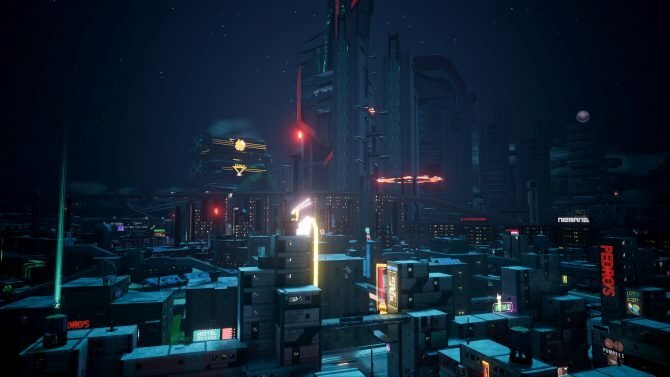 Platforming feels as good as it ever did in the first two games in the series, which was a relief to find in Crackdown 3. Bouncing around is fun and all, but combat has always been why I like the Crackdown games. You still lock onto enemies using the left trigger and can then choose which parts of their body you want to specifically fire at using the left stick. I didn’t even need to look at Crackdown 3‘s controls display sitting in front of me while I played as my muscles still remembered exactly how to blow enemies away: returning players will feel right at home. 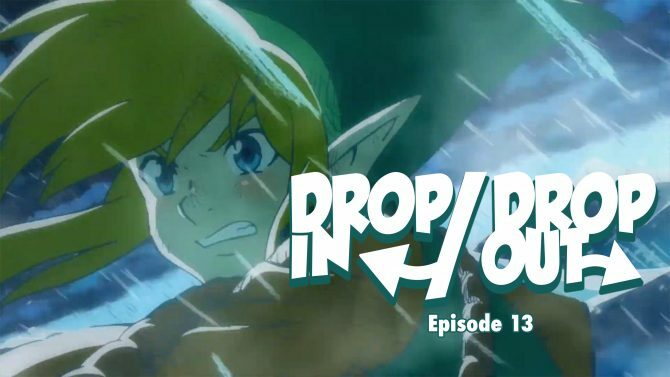 In fact, while the game does feel quite familiar, my biggest concern was that it almost wasn’t different enough from the other two entries in the franchise. Of course, I want Crackdown 3 to share common elements of the other games, but a lot of what I played did feel extremely familiar — which is both a good and bad thing. 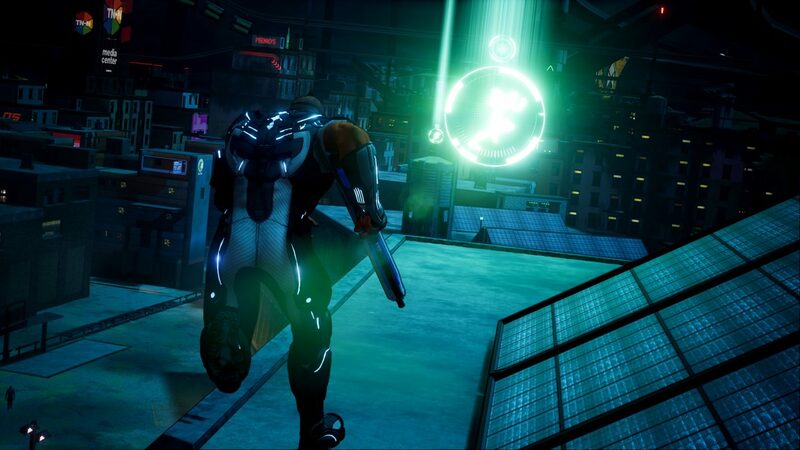 Overall, I’m happy that they nailed the feeling of the gameplay in Crackdown 3, but I really want to see some new enemy types or abilities appear as well. Then again, my session only lasted so long. My muscles still remembered exactly how to blow enemies away: returning players will feel right at home. Dave Johnson, the senior art director of the game, told me that one of the biggest differences in this new entry is the size of the world. 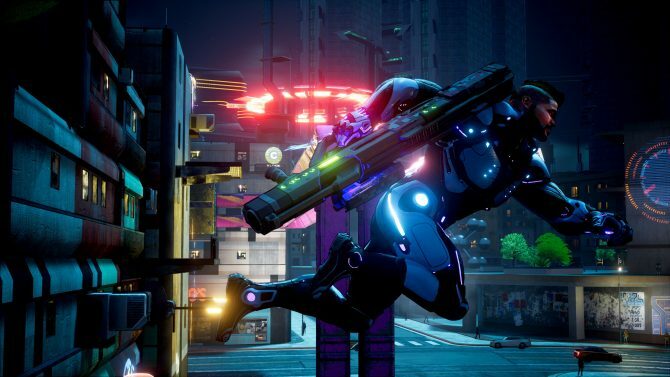 Crackdown 3 is easily the biggest game in the series — two and a half times larger than the original Crackdown — and while I only got to see a small slice of its world, Johnson assured me that the massive size of the game was one of its top new features. In fact, he also told me that the massive citadel in the middle of the game world of Crackdown 3 is twice as big as the Agency Tower from the first Crackdown. Bigger isn’t always better, but a larger playground to blow things up in sounds great to me. Another one of my favorite parts of the demo was checking out some of the new guns that will be featured in Crackdown 3. You have your typical machine guns and shotguns like normal, but the game really started to shine when I found some of the specialty weapons. My favorite of these was called the singularity gun and essentially acted as a giant black hole: if you fire the gun in a mob of cars, baddies, or other movable items, and all of those objects will gravitate towards the center of the hole you have just created before blowing up. You can even get caught in it yourself if you aren’t careful. I fell in love with the singularity gun quickly, and it really made me excited to see what other guns could be lurking within the world of Crackdown 3. You have your typical machine guns and shotguns like normal, but the game really started to shine when I found some of the specialty weapons. The last thing worth noting is that I did indeed play Crackdown 3 on an Xbox One X dev kit, but I didn’t find the visuals as impressive as some other games I saw running on the new machine. This might be in part because the game’s lengthy development dates back to a time before the Xbox One X was notable, or maybe it is just that the visual aesthetic of the Crackdown games don’t stand out as much in 4K as more realistic-looking titles. Either way, Crackdown 3 was by no means ugly, but I don’t think it would be the game I would purchase an Xbox One X solely for. So after collecting a few orbs, blowing up a few cars, and punching some bad guys square in the face, my session unfortunately came to an end. While I came in a bit hesitant about Crackdown 3, my short time with it sold me and reignited my passion for the franchise. I still have a couple questions and concerns. But, I’m overall stoked to bounce around the city as an agent again later this year. Crackdown 3 will release for Xbox One and PC on November 7th, 2017.